The term Marine Board is used to describe High Density Urethane or HDU products such as Precision Board Plus. The term is also used to describe a variety of other products used in the marine industry, such as high density polyethylene (HDPE) and vermiculite (aluminum-iron-magnesium-silicate). High density polyethylene marine board is a formable laminate used for cabinets and countertops, doors and windows, frames, swim platforms, trim and molding, step and ladder tread, railings, bait tank covers, and hatch combing covers. Vermiculite Marine Board is commonly used as structural fire protection in both Class A, Class B and Class C bulkheads, as well as floors, walls and ceilings as a fire protective barrier. HDU Precision Board has a variety of Marine applications including decks, stringers, transoms, bulkheads, live wells, and interior cabins. 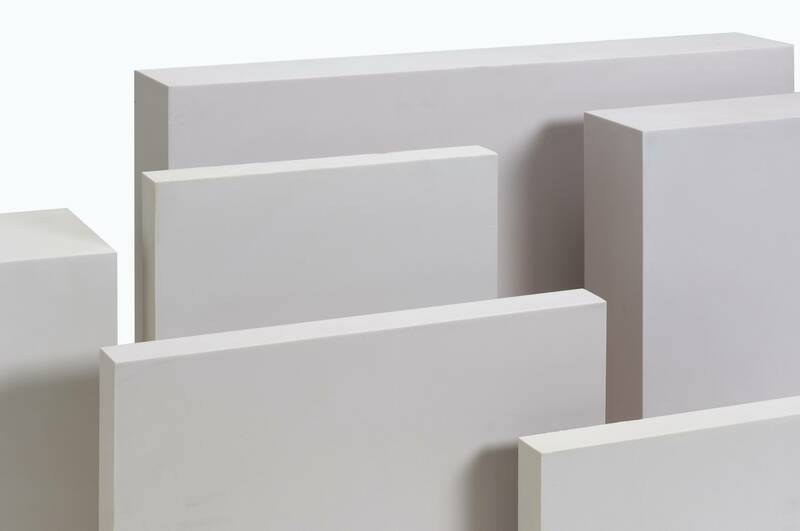 HDU Marine Board is generally used as a core material in fiberglass construction and as a substitute for Marine Plywood. Unlike Marine Plywood, HDU Marine Board will not absorb water and therefore will not expand or warp due to water intrusion. Common solvents such as lacquer thinner, methylene chloride, naphtha, mineral spirits, even gasoline and diesel fuel, have no effect on HDU Precision Board, nor do gel coats or resins. HDU is also available in a wide range of thickness and densities from 4 pcf to 70 pcf to match the performance requirements of the specific application.